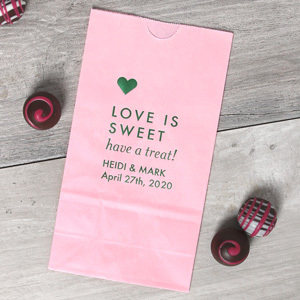 Use your personalized wedding goodie bags for wedding favors, welcome bags for out of town guests, or even bachelorette party “recovery bags." 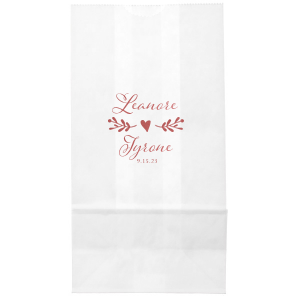 Customize your wedding goodie bags by personalizing a design below or use the FYP Customizer to start from scratch or upload your own art. 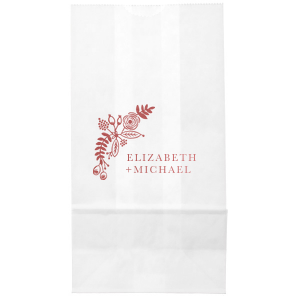 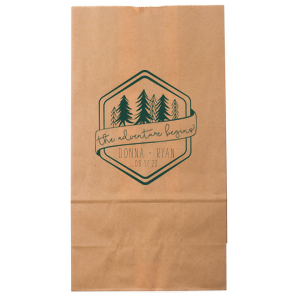 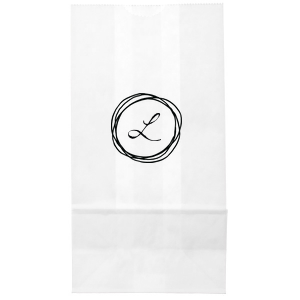 Impress your wedding guests with custom designed wedding goodie bags! 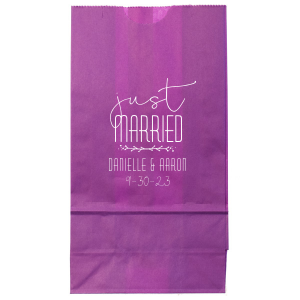 Match your wedding theme and color palette by choosing the goodie bag color and foil stamped design from the library of designer-made graphics, or upload your personal monogram or design in the FYP Customizer! 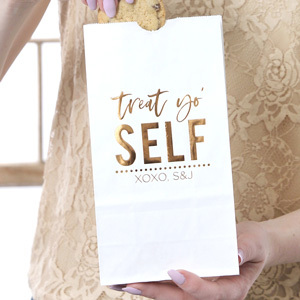 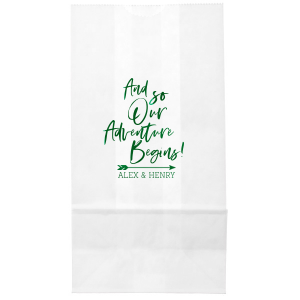 Personalized wedding goodie bags will extend your generous hospitality to your guests’ moment of arrival at the hotel with a curated selection of locally made snacks and drinks to welcome and refresh. 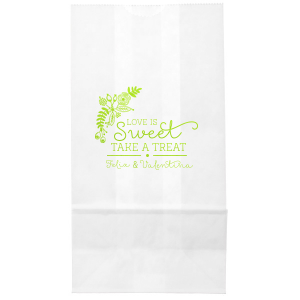 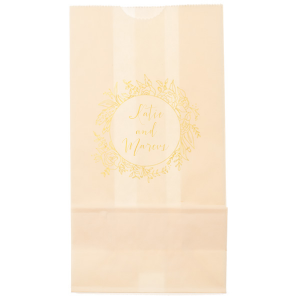 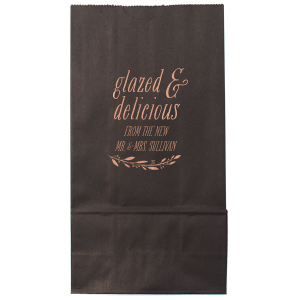 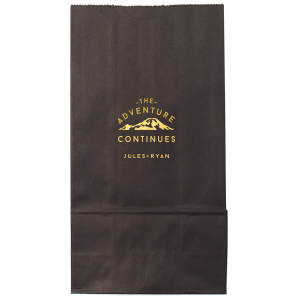 You cute wedding goodie bags could also go home with guests holding wedding favors as your wedding reception ends. 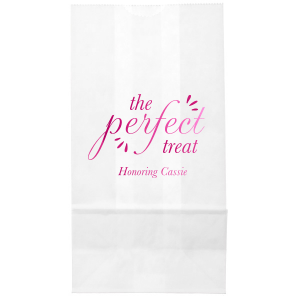 Planning a wedding favor buffet with gourmet cookies, macaroons or a selection of the bride and groom’s favorite candies? 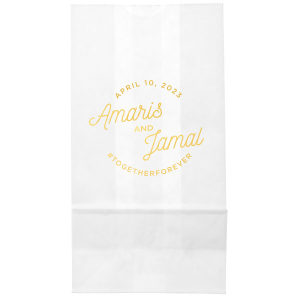 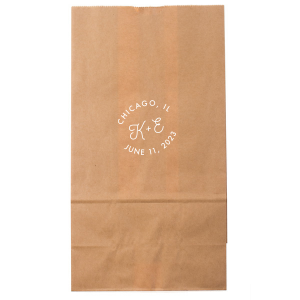 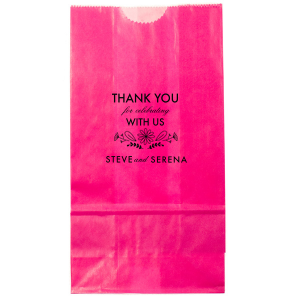 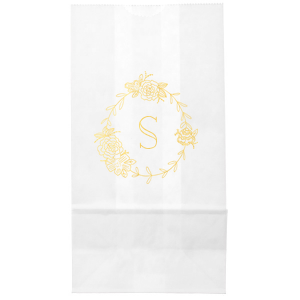 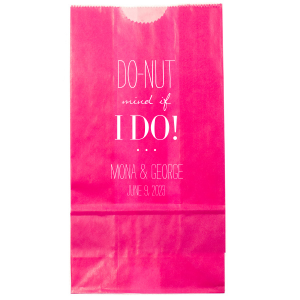 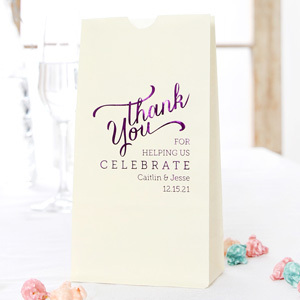 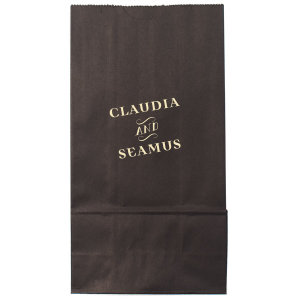 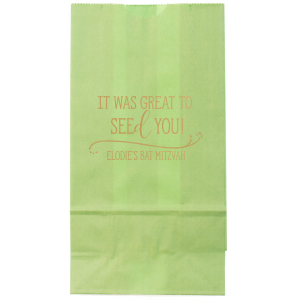 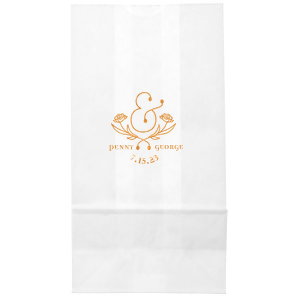 For Your Party’s personalized wedding goodie bags are the perfect choice! 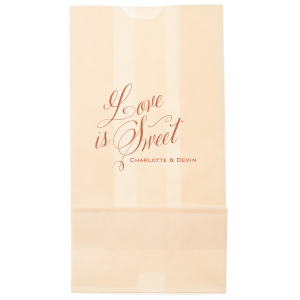 Add a cute phrase like “love is sweet, take a treat!” to create a memorable and delicious wedding favor.